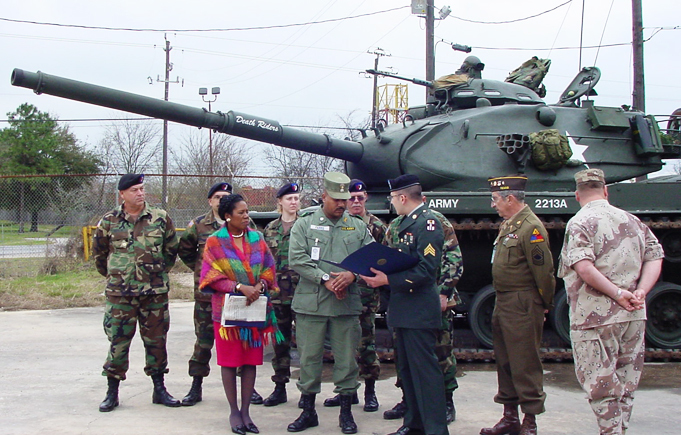 The National United States Armed Forces Museum is always ready to assist groups or individuals who desire support, or advice in the preservation of military vehicles and related items. Our members are recognized professionals and hold national standing for authentic and exacting restorations. They are willing to help find, and restore military equipment from jeeps to tanks. The National United States Armed Forces Museum is incorporated as a non-profit charitable corporation and recognized as a 501 (c) 3 charity by the United States Internal Revenue Service. All income is derived directly from the sale of items from the Museum PX Gift Shop or by contributions of private individuals and corporations. Membership is open and available without regard to race, color, creed or national origin.